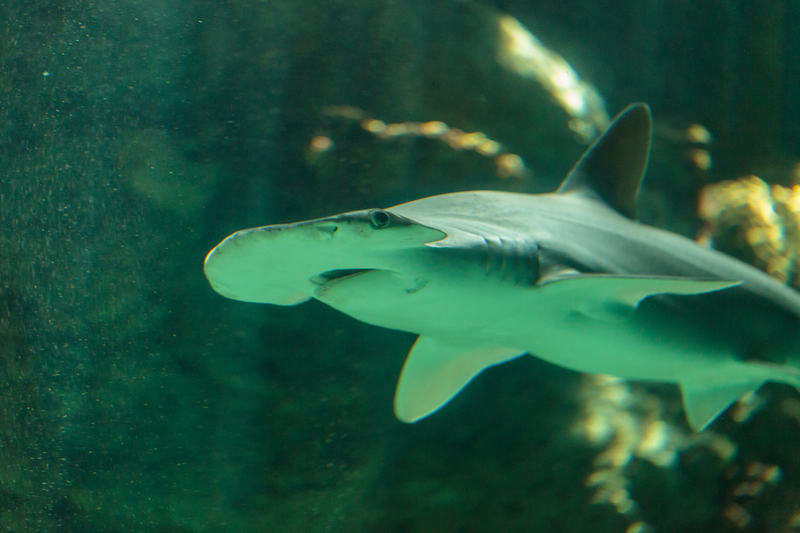 The bonnethead shark has finally been outed for what it truly is — an omnivore! Gone are the stereotypical characterizations as a bloodthirsty meat eater. This small relative of the hammerhead, which swims in the waters of the Pacific, Atlantic and Gulf of Mexico, eats grass. Seagrass to be exact. The grass-eating isn’t really news though. When munching on shrimp, crabs and other prey taking shelter in seagrass, a bonnethead could easily grab some seagrass in their jaws. But, for the first time, scientists have discovered they can and do get nutrition from these plants. FIU marine scientist Yannis Papastamatiou along with Samantha Leigh and Donovan German from the University of California, Irvine, published their findings earlier this month. Not all carnivores can digest plants efficiently. The team conducted a series of lab-based tests in which they fed bonnethead sharks a diet of mostly seagrass with some squid. They analyzed how much of the nutrients the animals digested and how much they excreted. The sharks receiving the predominantly plant diet gained weight and were found to efficiently digest the fiber and organic matter from the plants. In fact, they proved better at digesting plants than pandas. The findings are changing what scientists thought they knew about carnivores in the oceans. They believe other shark species could be broadening their diets and are consuming plants. Leigh points out these findings also have implications for seagrass conservation. And omnivorous sharks mean these predators could play a larger role in nutrient distribution in the oceans.